With War & Leisure, the Grammy-winning soul star has delivered the album of 2017, the one that defines music and politics and all of the insanity in between! 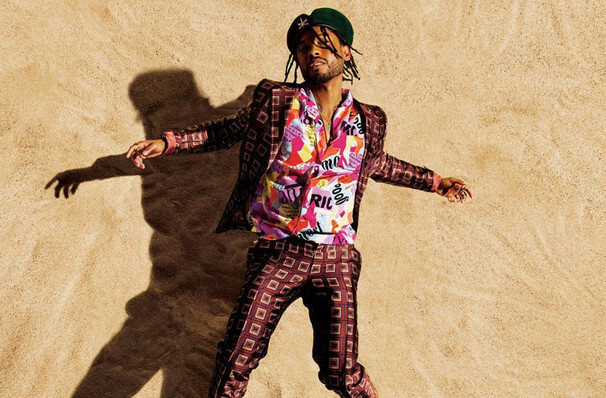 Ever fond of carrying the torch in a post-Prince, R&B-infused world, Miguel burst back onto the scene in 2017 with his fourth studio album, War & Leisure. Full of new songs destined to be hit singles, like Pineapple Skies and Sky Walker. 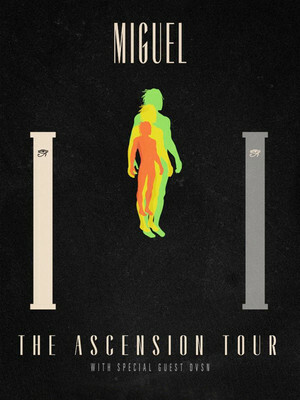 If you're a fan who missed out on his recent sold-out tour, which rounded off in April, then you're in luck. Miguel is taking War & Leisure back on the road for a 26 date tour which kicks off in Boston, in August. DVSN will serve as special guest for the entire War & Leisure tour. Full of sensual statements and allusions to issues facing America today, War & Leisure is poised to be a game-changer for the Californian-born neo-RnB/soul artist. In fact, Miguel's music career almost didn't happen thanks to an alleged breach-of-contract lawsuit when he was still finding his feet as a performer! Needless to say, he managed to bounce back from the and is now the proud recipient of two BET Awards and a Grammy. Sound good to you? Share this page on social media and let your friends know about Miguel at Doug Mitchell Thunderbird Sports Centre. Please note: All prices are listed in US Dollars (USD). The term Doug Mitchell Thunderbird Sports Centre and/or Miguel as well as all associated graphics, logos, and/or other trademarks, tradenames or copyrights are the property of the Doug Mitchell Thunderbird Sports Centre and/or Miguel and are used herein for factual descriptive purposes only. We are in no way associated with or authorized by the Doug Mitchell Thunderbird Sports Centre and/or Miguel and neither that entity nor any of its affiliates have licensed or endorsed us to sell tickets, goods and or services in conjunction with their events.